So! 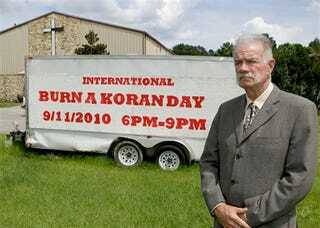 That church that wants to burn the Koran this weekend, Dove World Outreach Center? While we can't make them disappear altogether, they've at least been taken off the internet by their web host, Rackspace.